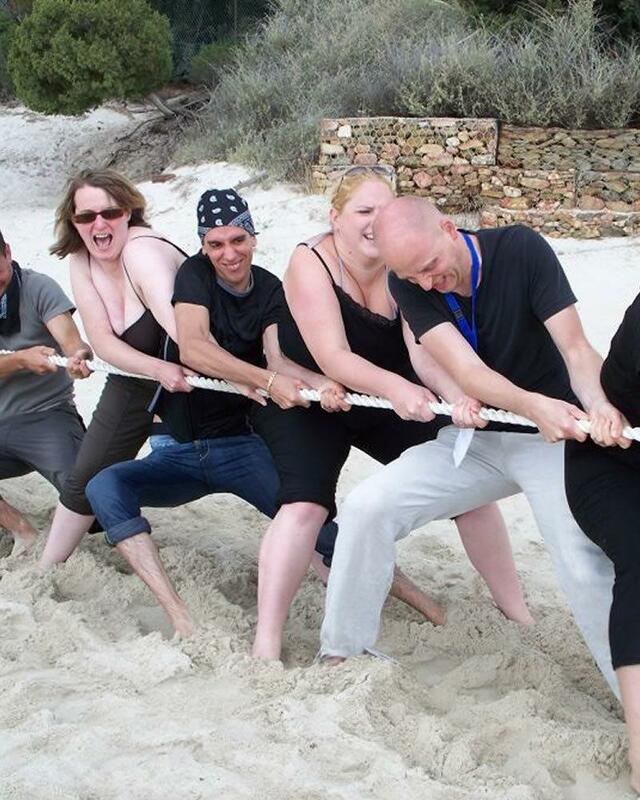 Team building in Sardinia, organized by Hotel Flamingo Resort, in Santa Margherita di Pula allows enjoying and ideal location for the accomplishment of every objective proposed by the organizers. 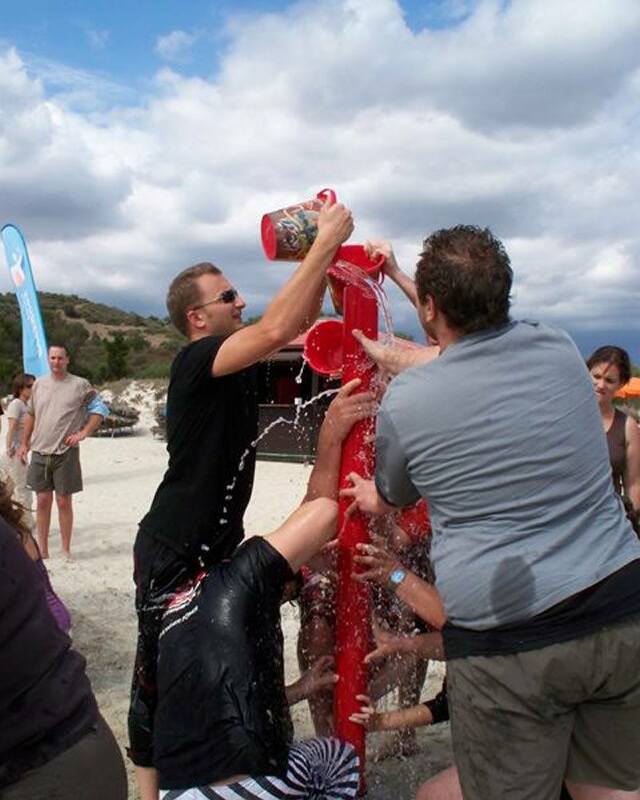 The sea nearby, a private beach, restaurants where you can taste Sardinian cuisine and a swimming pool are the frame within which you work team, agent team, researchers or, in fact, anyone, can regain energy, positivity, team spirit, and also strengthen leadership through team building activities. 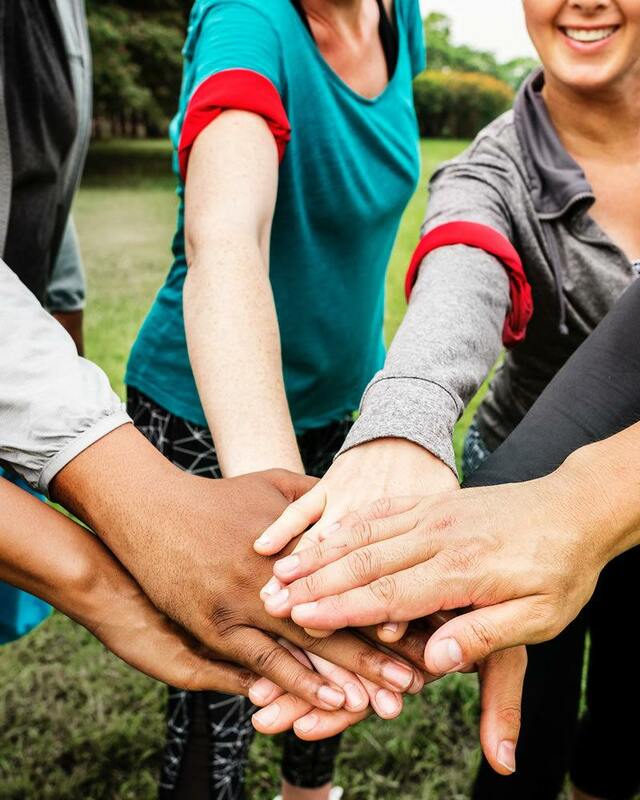 Team Building means building a group, and it is an activity which objective is to form a group through recreational activities and games. Members reinforce co-operative spirit according to the principle which states that 2+2 is not 4, but at least 5. 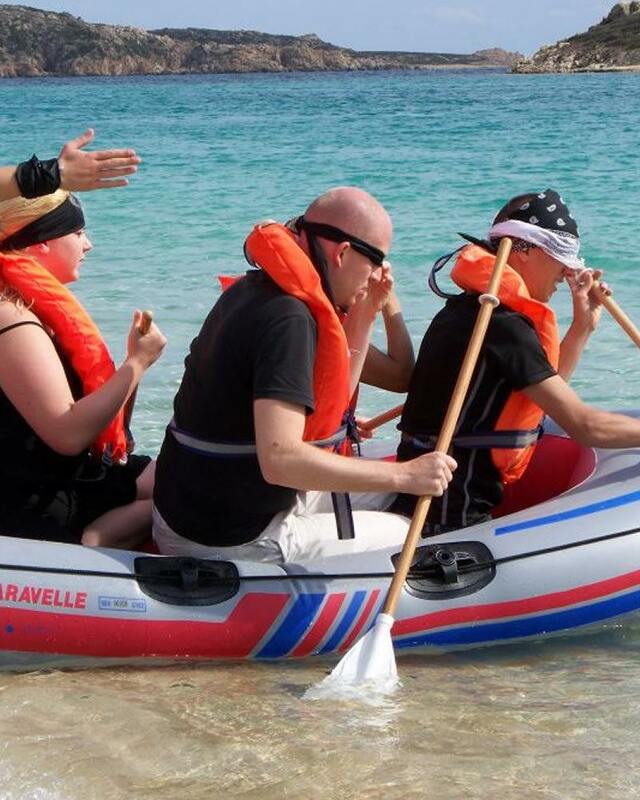 The team building project-considering the location of South Sardinia and the services provided by Flamingo Hotel – will be built according to the specific requirements of the client. In this section of the site you can find some hypothetic activities that could be organized, but they are only suggestions, as they are subject to variation and, more importantly, your company can indicate which activities to include. 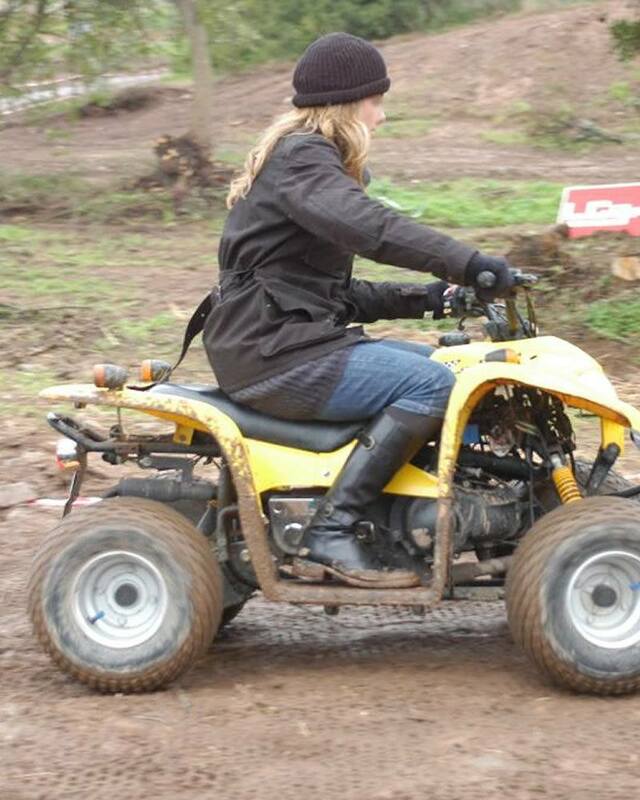 Team building in quad in Sardinia: exciting routes along the paths of Sardinia , among dirt paths, tracks and splendid scenery. 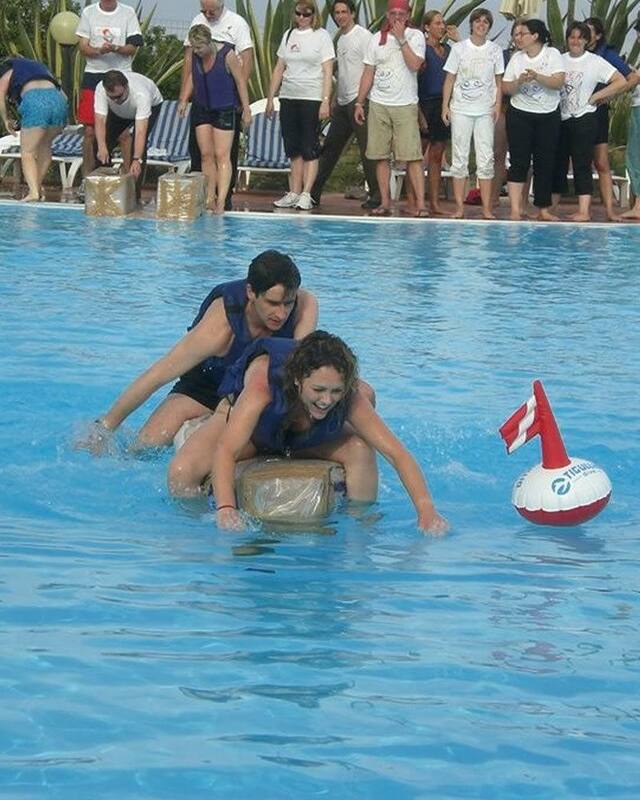 Team building by putting together a cardboard boat, an exciting challenge, a practical game where ability, intelligence and team work are put to the test. 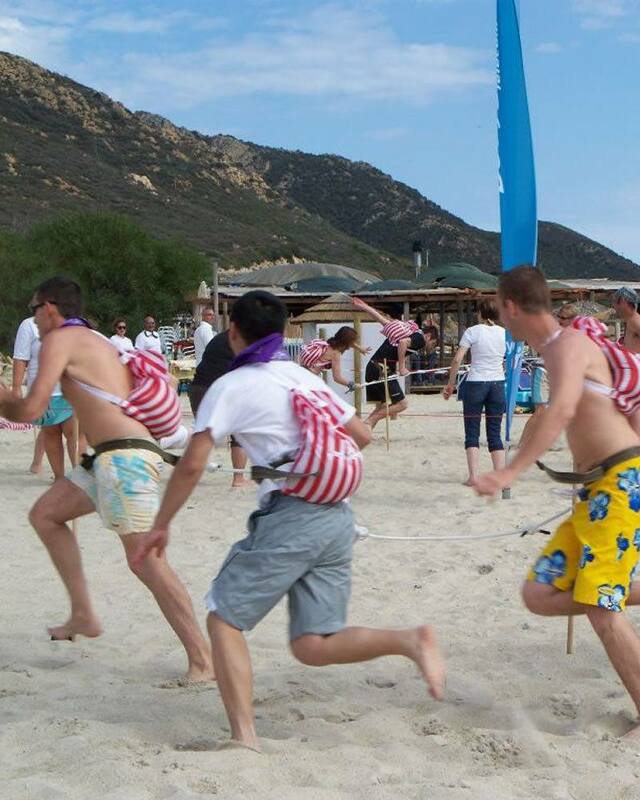 Team building with tug-of-war, or one of the most ancient games used to liven up a group. 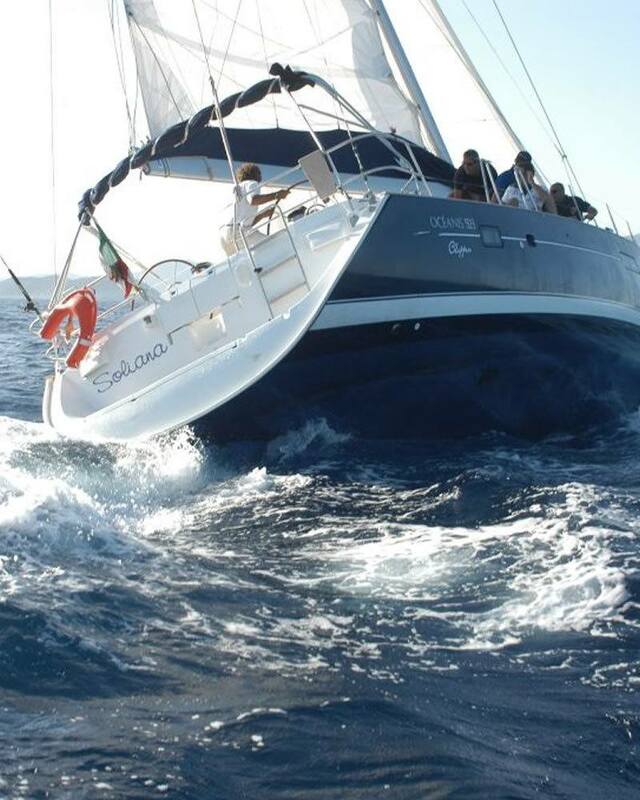 Team building on sailing boat, in South Sardinian sea, one of the most recommended outdoor activities for boosting the skills of your team group. 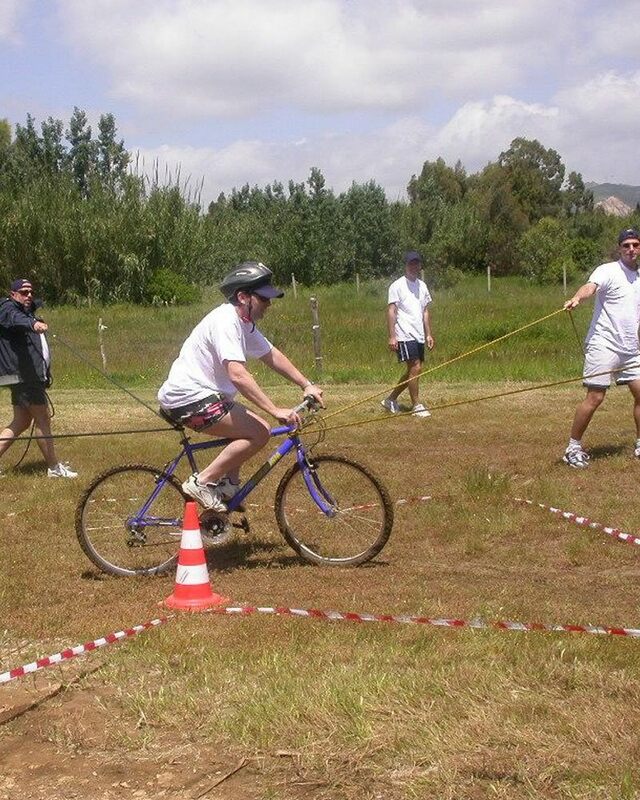 Team building in mountain bike, within the splendid public forests of South Sardinia, an outdoor activity to boost your team’s skills. 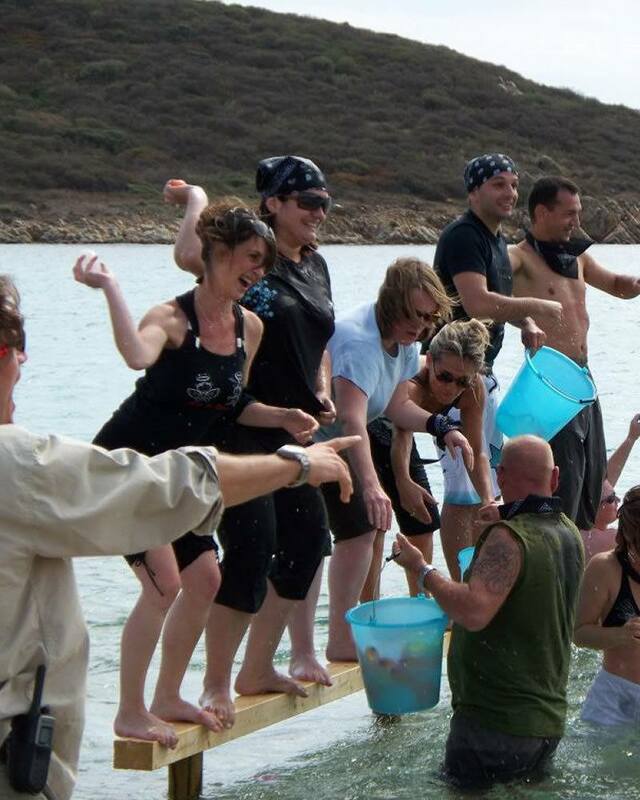 Team building on rafts in the splendid waters of Sardinia, an outdoor activity for boosting your work team’s capacity. 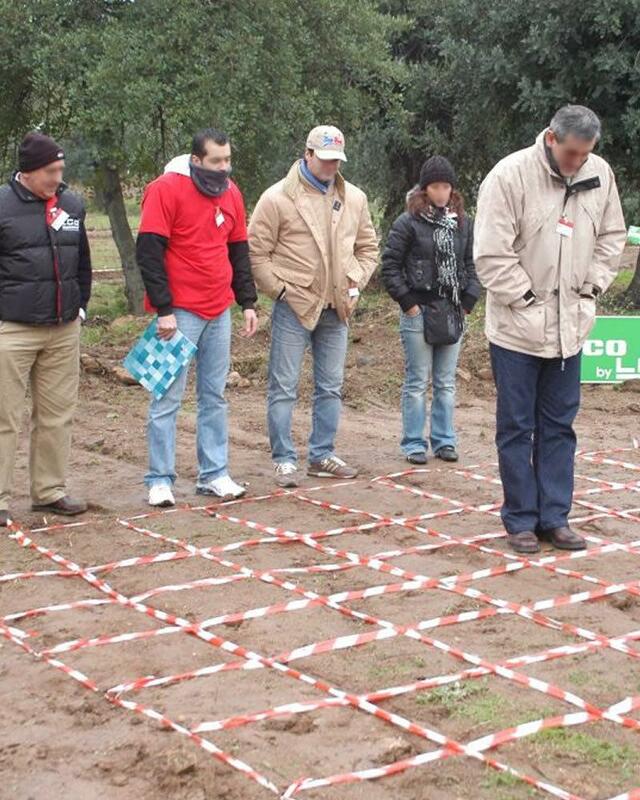 A simulated war is perfect for improving leadership and team work: two or more teams in a strategy game set in the Sardinian forests. 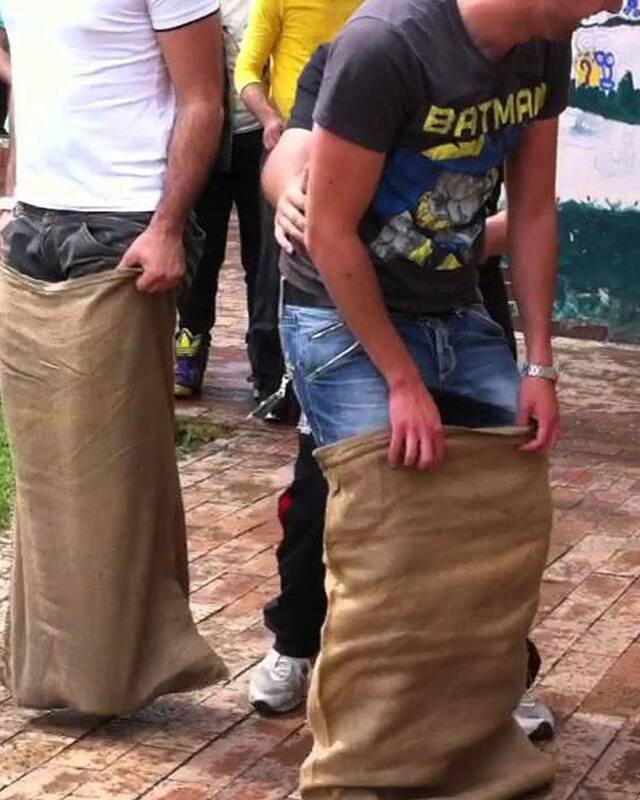 Sack race comes into existence as a children’s game but it is also perfect as outdoor training. 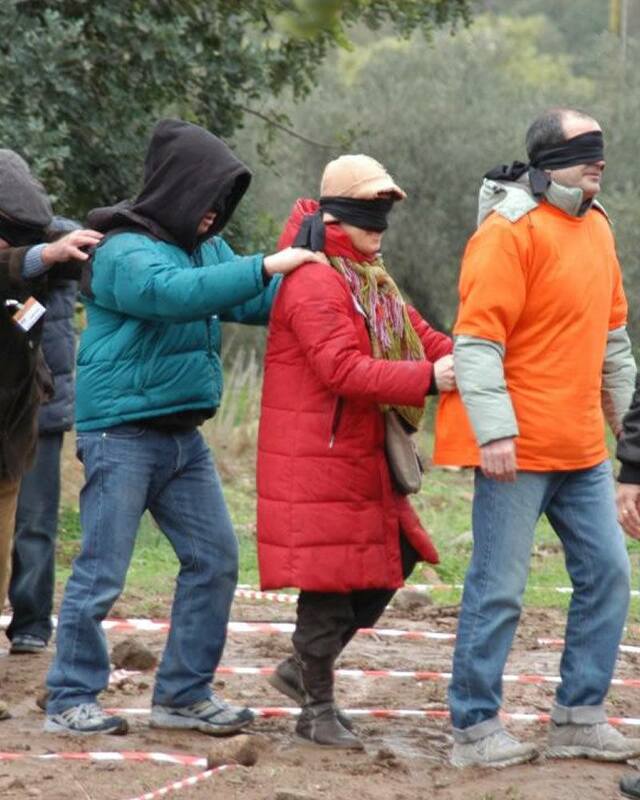 Another entertaining game adapted for team building and outdoor training which is perfect for increasing team cohesion. 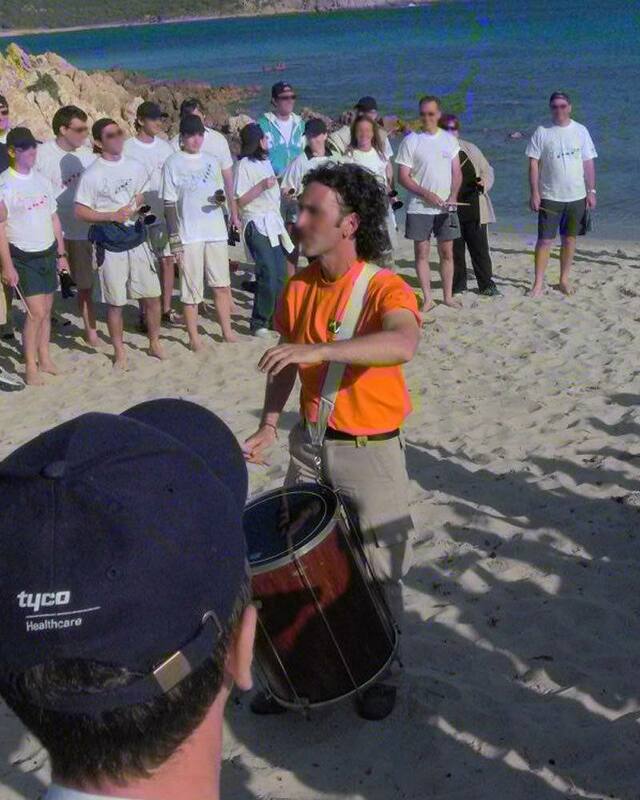 Team building through treasure hunt, among paths and tracks that go through the territory of Santa Margherita di Pula. 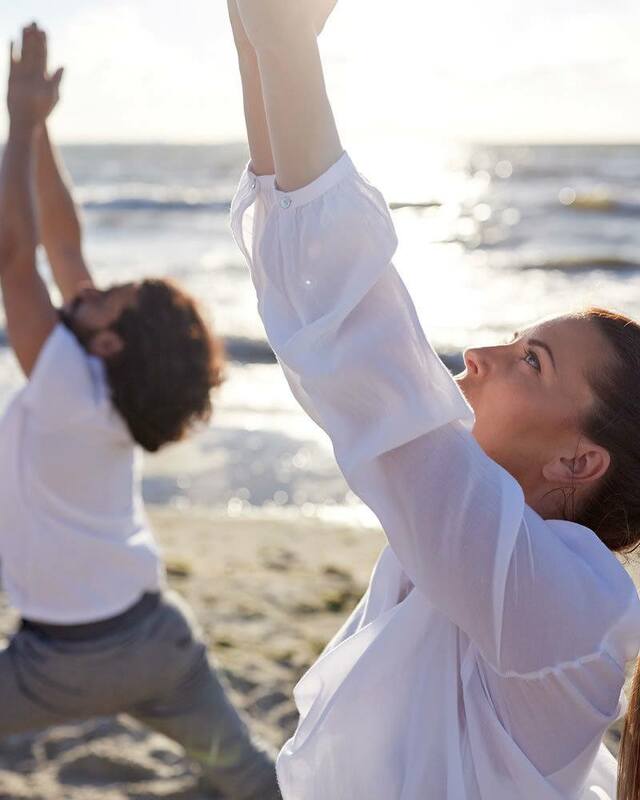 By means of playing with the hoop, the team enhances its ability for synergic work and creates new communication ways in order to reach the common goal. Baton Pass is a simple game that can be played both indoors and outdoors and is perfect for boosting the team’s ability to co-operate. 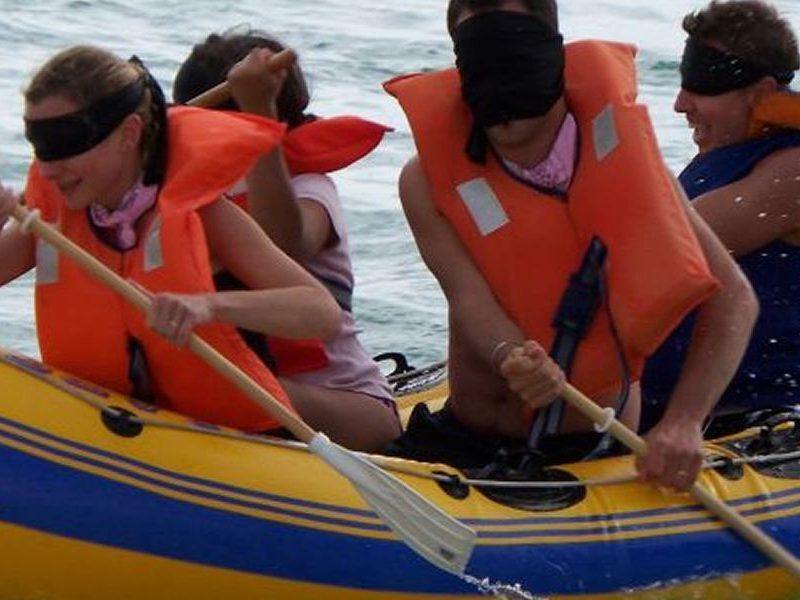 Team building is also gained through apparently silly games, but which are created ad hoc for improving the adaptation of the group. Team building through one of the most amusing games which seems perfectly fit for Sardinia: Shepherds and sheep. Team building with stand up paddle: balance, team work and stamina are tested to determine the winning team. 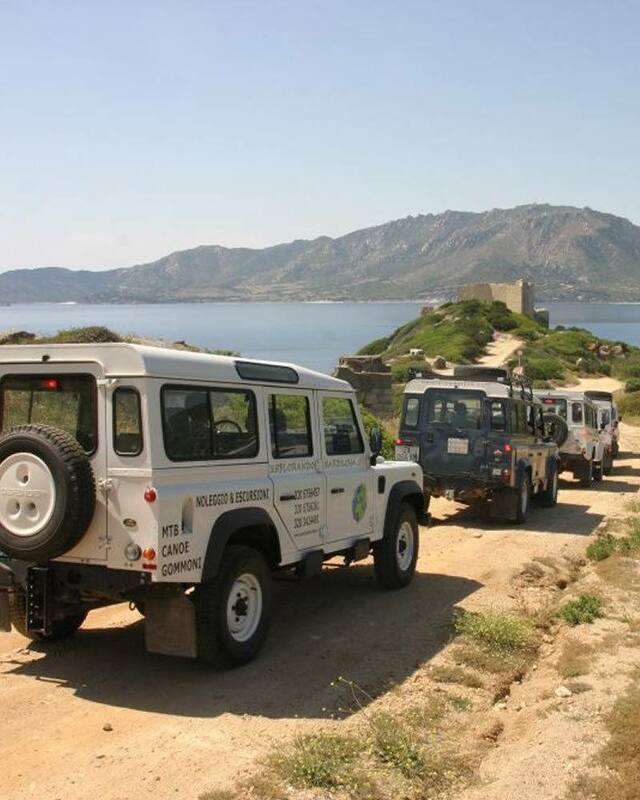 Team building in jeep in Sardinia, exciting routes along the paths of Sardinia, among dirt paths, tracks and splendid scenery.